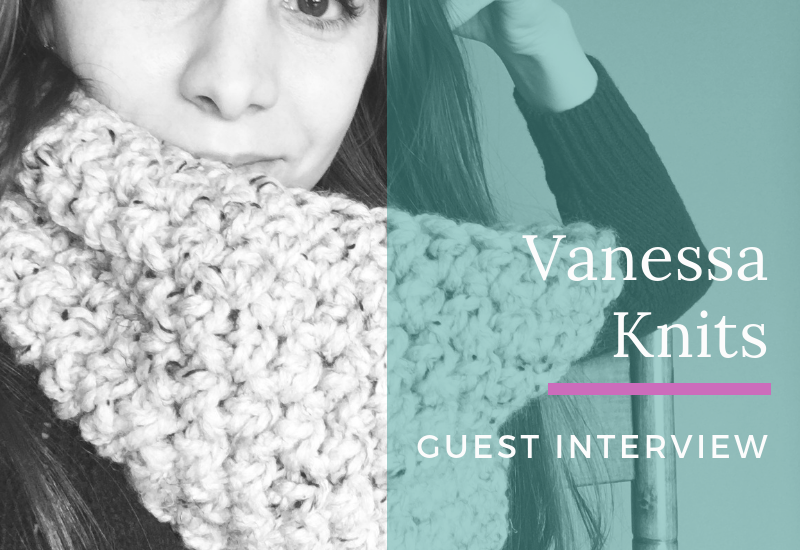 This month my amazing guest interview is Vanessa from VanessaKnits! 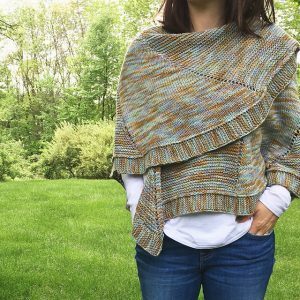 She’s a knit designer with absolutely gorgeous patterns, and she’s so sweet and fun, too! 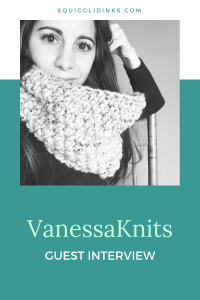 I initially learned how to crochet when I was 9 years old and would spend the majority of my summers with my grandparents in Westchester NY. My grandmother taught me so that I wouldn’t be bored! Later on, when I was 19, my mom taught me the basics of knitting—the simple garter stitch on straight needles. From there, I taught myself all the skills I wanted to learn to make the garments I wanted to wear! 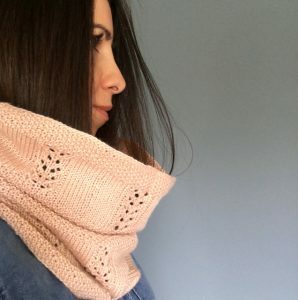 After years of knitting other designer’s patterns (and often making adjustments to better suit my style or body), I realized that I could try to design something for myself. 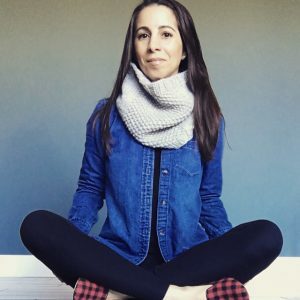 I started with simple accessories that I would sell at craft shows and after I kept getting requests for patterns, I learned more about writing charts, the importance of being able to replicate gauge and how to find quality test knitters. I’m not one to sit still–I have never been able to! I love that I can keep my hands busy (and quiet my mind at the same time), all the while creating a tangible items at the end of the process. I wouldn’t say avoid, but there are so many things that I have yet to learn. Garment design is something I plan to learn more about. Accurately grading for the various sizes is so important when designing garments and I would want a firm grasp of that before attempting such a big project. I think it is crucial to have a firm understanding of the skill before selling patterns to others. From accurately calculating gauge, yardage, writing a chart and being able to answer the questions paying customers ask—these are all things that must be considered before publishing a pattern for public consumption. My family. I am a first generation American with roots in Italy and Argentina. I am immensely proud to say that I come from a long line of makers. For example, my maternal grandfather was a menswear designer and my paternal grandfather was a shoemaker. My mom has always been one to pick up a craft easily—whether it be knitting, painting or cooking gourmet meals. My father, a diesel mechanic, can literally build or fix pretty much anything without an instruction manual. I think being skilled with our hands runs in the family! 8. If you could have a yarn superpower, what would it be? Well, because I find the finishing of most projects the most tedious and least rewarding, I would say I would love it if I could wake up to woven in ends at the end of each project! Lovely post, loved getting to know Vanessa! She has some amazing patterns!